No one understands the importance of soundproofing more than rental apartment managers. Whether it’s the sound of thumping music, the roar of street traffic, or the clanking of nearby railways, loud exterior noise can depress occupancy rates and make for cranky tenants. One popular method to reduce external noise is to soundproof existing windows with a second functioning window. A quick, lower cost alternative to replacement, what many don’t know is that the same approach can be applied to sliding glass doors leading to patios and balconies. 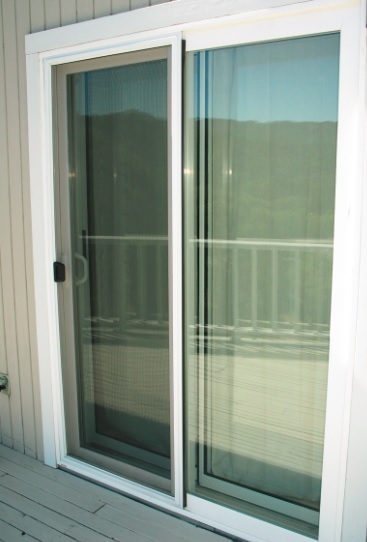 Soundproof Windows Inc., a leading manufacturer with a background in engineering products used in the most noise sensitive environments in the world (including recording studios) has created a “second sliding patio door” that can be installed easily inside or outside the existing door. This consists of a surface mount aluminum frame, track insert, mounting fin, and a sound insulated movable aluminum sash with rolling mechanism. The product is designed specifically to match and function like the original door, no matter its design, and can open and lock separately. Functionally, the second sliding door reduces noise intrusion due to its laminated glass construction, the air space separating the original and soundproof door, and long-lasting seals. According to the company, this combination can reduce external noise by up to 95 per cent. Air space of two to four inches between the existing sliding door and the soundproof sliding door also significantly improves noise reduction because it isolates the door frame from external sound vibrations. Finally, the company places spring-loaded seals in the second sliding door frame. “This puts a constant squeeze on the glass panels, which prevents sound leaks and helps to stop noise from vibrating through the glass,” says Brown. Such soundproofing in commercial properties can also provide substantial benefits in reducing energy costs. Adding another sliding door or window provides an additional layer of insulation, which can reduce the heating-cooling portion of energy bills by 15 to 30 per cent. This also helps to stop air infiltration around leaky seals, which improves comfort and increases the property’s perceived value. Another important side benefit is security enhancement, since its construction helps to deter burglary/breaking and entering through typical sliding glass doors. While standard or tempered glass sliding doors can be shattered by a sharp blow, the laminated glass used in such soundproofing offers significant break in protection because it is shatter resistant and tends to remain intact even after repeated blows. Such laminated glass is actually a major component of most bulletproof glass. Whether commercial property managers seek to enhance occupancy or rental rates by protecting their renters and tenants from stressful external noise intrusion, significantly reduce heating-cooling related energy costs, or deter break in, economically soundproofing existing sliding glass doors and windows can provide a real competitive edge. Visit www.soundproofwindows.com for more details.